Before throwing money at lawyers to appeal a divorce ruling or settlement custody case understand the laws, deadlines and procedures. Knowledge is power. Before you start throwing money at lawyers to appeal the ruling in your Florida divorce or child custody case you need to understand the laws, deadlines and procedures involved with the process. For starters, the process of prosecuting an appeal is much different than everything that happened leading up to and including the trial in your divorce or child custody case. You should read the Appellate Basics tutorial to learn the major ways that an appellate case is different than what happens at the trial court level. Click here to learn the Appellate Basics. The most important things to “get right” with an appeal is knowing the filing deadline and making sure to appeal all relevant orders. If you miss the deadline to file your notice of appeal, barring any extreme emergency, you will be “out of luck” as the appeals court will not have jurisdiction to decide your case. Also, if you fail to include the relevant orders on your notice of appeal, the appeals court might not be able to decide the issues that really matter. The bottom line is this: make sure you appeal everything that needs to be appealed without missing any deadlines. For more information, click here for the tutorial on Appellate Deadlines. Before you file your appeal, you need to be make sure you’ve done the right things with the trial court. Depending on your situation, it may be preferred, or even required, to raise certain faults with the judge’s ruling in a Petition for Rehearing or Motion for Reconsideration, or to ask the judge to give additional findings to support their ruling. Everything you need to know about this process can be found by clicking here for the tutorial on Rehearing & Required Findings. Another preliminary issue that needs to be assessed early on is whether or not your judge’s ruling can be immediately appealed, or if you need to wait until a final order has been entered to pursue an appeal. 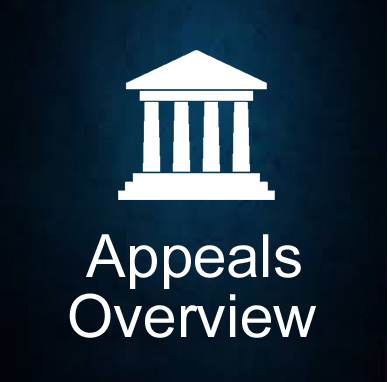 A detailed analysis of whether your judge’s ruling is “appealable” can be found by clicking here for the tutorial on What Decisions Can I Appeal? In some cases, the divorce court judge may have issued a ruling with “irreversible consequences” that cannot be undone if the ruling becomes effective before an appeal is finalized. Fortunately, there is a process for requesting a “stay”, or temporary halt to trial judge’s order becoming effective. Click here to read everything you need to know about obtaining a stay pending the outcome of your appeal. After reviewing the material in the Divorce Appeal Guide on this website you should be better position to intelligently evaluate whether or not you should pursue an appeal of the judge’s ruling in your case. At this point, you should either speak with your current family law attorney or contact an appellate lawyer well versed in Florida’s laws pertaining to divorce and child custody issues. Call (561) 810-0170 or click here for more information about scheduling a consultation and strategy session with the Florida Divorce & Appellate lawyers of Bruce Law Firm, P.A.. The firm’s practice is limited to divorce and family law and represents clients in all of Florida’s appellate courts under fixed-fee pricing arrangements with a money back guarantee. The firm shares fees with referring attorneys pursuant to Florida Bar rules. All information on this website is subject to this Legal Disclaimer. Click West Palm Beach Divorce Lawyer for the firm’s other divorce and family law website. During the consultation and strategy session, which can be done by phone or video-conference, one of the firm’s divorce and appellate lawyers will review the ruling in your case and inform you of your options going forward.